The Meizu M6 Note is better than ever. Packed with a highly-anticipated Qualcomm Snapdragon processor, an outstanding camera and a large and powerful battery, the M6 Note represents our new interpretation of Quality for Young. Adreno 506 GPU Unleash the power! The Meizu M6 Note sports an outstanding 12-megapixel Sony IMX362/Samsung 2L7 camera, delivering high image quality in an entry-level smartphone. 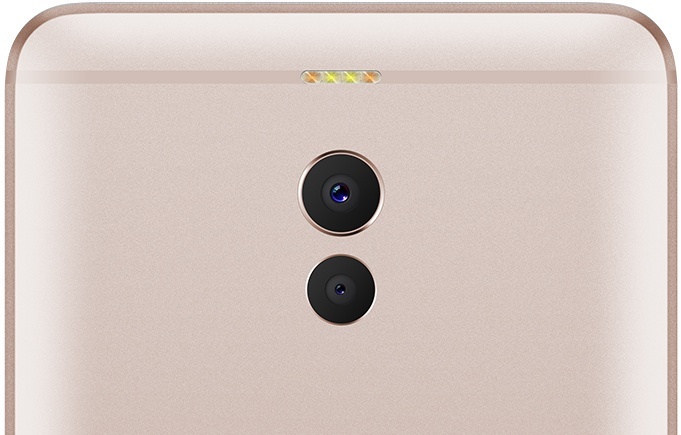 The secondary camera has a 5-megapixel sensor. Packed with features such as dual PD and background blurring effect, the M6 Note delivers a camera experience unseen in its class. The Meizu M6 Note comes with a Sony IMX362/Samsung 2L7 camera on the back with an f/1.9 ultra-wide aperture, 1.4µm pixel CMOS image sensor and a 6P custom lens. All this to deliver a revolutionary camera experience. It's rare for a smartphone in its class to be equipped with an SLR focusing mechanism, yet the Meizu M6 Note does. Dual PD achieves quick and accurate focusing by using both lenses to focus at the same time.The focus speed of Meizu M6 Note is four times faster in full-light and 7.5 times faster in low-light when compared to the previous generation. Focusing with Dual PD focusing is a real instant process. 16-megapixel sensor, Outstanding front-facing camera! The front-facing selfie camera comes with a 16-megapixel sensor and f/2.0 wide aperture. Combined with the beautification algorithm from Arcsoft, deep texture and natural skin colors are highlighted. On top of that, Flyme comes with hundreds of camera stickers, allowing you to customize your photos even further. It isn't only about hardware. Meizu M6 Note features the complete set of custom Arcsoft algorithms that optimizes double-camera bokeh and applies multi-frame noise reduction in dim light, which significantly improves the bokeh effect and image purity. The M6 Note brings you better imaging quality at a lower cost. The dual-color temperature 4-LED flash isn't only a convenient flashlight, it's also a bright and natural fill-in light when taking photos. Flyme provides 5 specific flash effects, with a suitable one for every occasion.